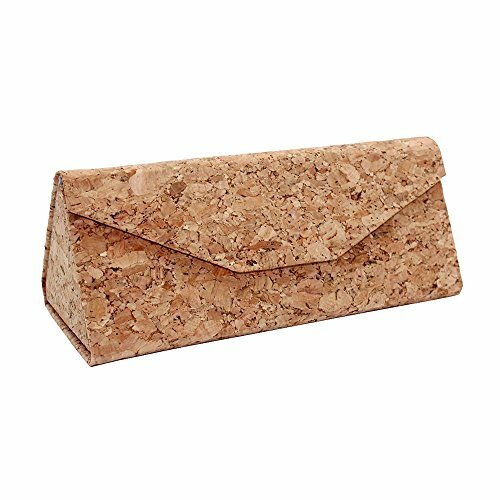 - Boshiho ECO-Friendly Natural Cork Sunglasses Box is a cool and stylish eyeglasses box to carry around and receive great positive comments. - Made from eco-friendly material - Cork (leather free), No animal products used, 100% animal free. - Eye catching material. Soft, flexible and durable. - Fold Design that end up being thinner, lighter, and easier to manage. - Gift idea for vegan and vegetarians.